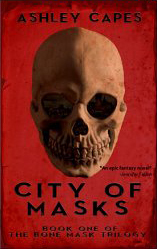 Close-Up Editing’s Ashley Capes has had his novel City of Masks released! Check out the link right here. City of Masks – Print Edition Available!